Founded as the School of Engineering in 1965 with just three faculty members and 75 students declaring engineering majors; the school today serves more than 4,000 students, providing an integrative approach that blends fundamentals, research and hands-on experience. With 12 undergraduate and 13 graduate programs, the school's mission is to unleash innovation, create opportunities and inspire ingenuity. 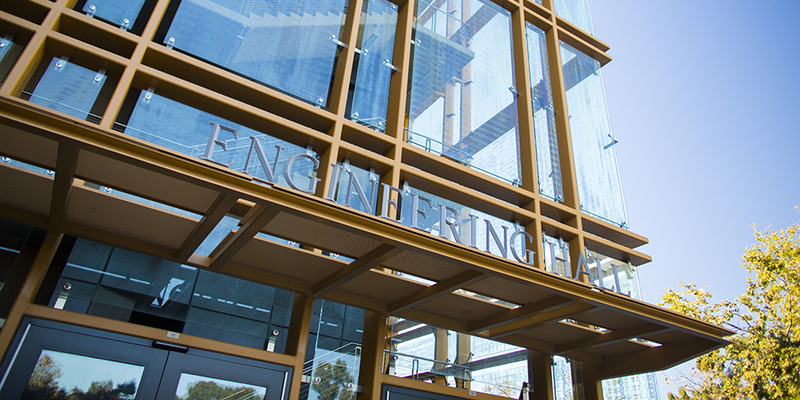 In 1999, the school was renamed The Henry Samueli School of Engineering after the philanthropist and co-founder, chairman and chief technical officer of Broadcom Inc. The school includes six academic departments: biomedical engineering; chemical & bimolecular engineering; civil & environmental engineering; electrical engineering & computer science; materials science & engineering; and mechanical & aerospace engineering.Leaders in their disciplines, the school's 139 faculty members have achieved worldwide recognition for their pioneering research and dedicated teaching. Nearly a third are fellows in professional societies, and 14 are members of the National Academy of Engineering. The school has eight endowed chairs, eight Distinguished Professors and four Chancellor's Professors. Dean Gregory N. Washington, Ph.D., joined The Samueli School of Engineering in August 2011. Under his leadership, the school has increased its faculty ranks and numbers of students. He instituted a popular freshman experiential learning program that gives engineering students a taste of real-world product development. He also secured a $9.5 million gift in support of the school's efforts to engage a more diverse student population through STEM outreach and was instrumental in the fundraising efforts for the new Interdisciplinary Science and Engineering Building slated to open in 2020. Prior to his arrival at UCI, Washington served as the interim dean for the College of Engineering at The Ohio State University. As a professor of mechanical engineering, his research expertise lies in the design and control of smart material systems and hybrid electric vehicles, and the design of smart electromagnetic systems. Washington also has been involved in multi-domain research for the last 20 years. His core area of interest lies in dynamic systems, with an emphasis on modeling and control of smart material systems and devices. He has worked in the design and control of mechanically actuated antennas, advanced automotive systems incorporating smart materials, hybrid electric vehicles, and structural position and vibration control with smart materials. He has conducted research for a host of organizations including the National Science Foundation, NASA, General Motors Co., the Air Force Research Laboratory and the U.S. Army Research Office. Washington has served as a member of the U.S. Air Force Scientific Advisory Board, NSF Engineering Advisory Committee, Institute for Defense Analyses and numerous other boards. Washington is a recipient of the NSF Faculty Early Career Development (CAREER) Award and a Fellow of the American Society of Mechanical Engineers. Recently, Washington was appointed chair of UCI's Task Force on Ensuring a Positive Climate for the Campus' African American Community. He holds bachelor's, master's and doctoral degrees in mechanical engineering from North Carolina State University. The Samueli School fosters partnerships with the corporate community to enhance the flow of research, technology, talent and personal contact between the school and high-tech companies. The Corporate Partners Program is offered to ensure that the Samueli School builds lasting relationships that cultivate technological excellence and innovation while creating opportunities to share knowledge. Research is integral to the school's mission to educate students and benefit society. Engineering faculty pursue investigations that are timely, socially responsible and forward thinking. They work in partnership with industry and state and federal agencies to promote the transfer of research to applications that improve lives. More than two-thirds of undergraduate students actively participate in faculty-led projects. Current research thrusts include communications and information technology, human health, energy and sustainability, and advanced manufacturing and materials.